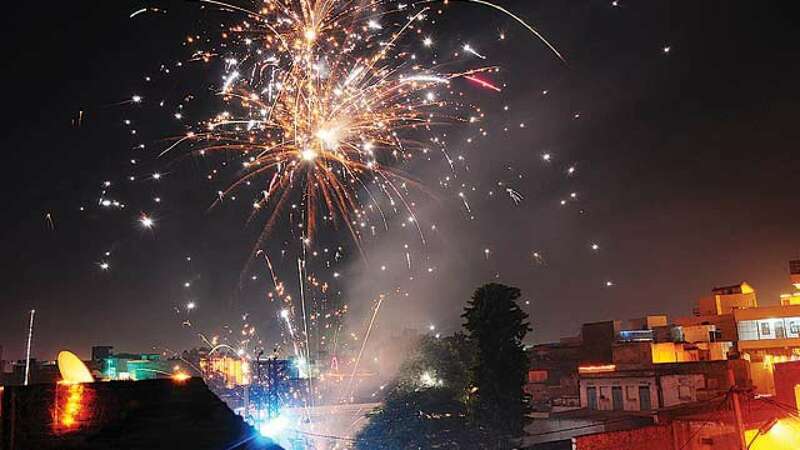 The Nagaland Pollution Control Board has stipulated rules to regulate noise and asked the people to take permission from the district administration concerned for bursting firecrackers. An official release on Wednesday said rules have been laid down based on the Noise Regulation and Control of Pollution Rule of 2000. The release said bursting of crackers during night time from 10 pm to 6 am is not permitted and that firecrackers above 125 decibels are banned. The board said the deputy commissioner concerned is the implementing authority of the rules. It directed that, under Section 31 A of the Air Prevention and Control of Pollution Act of 1981 and Section 8 of the Noise Regulation and Control of Pollution Rule of 2000, prior permission has to be taken from the administration to burst firecrackers specifying the time and place for the purpose, away from the hospitals, schools and residential areas. The board said wide publicity must be given prior to the event to avoid panic among the people in the vicinity and to maintain congenial environment, prevent annoyance, disturbance and discomfort to the public. It said firecrackers have become a part of celebration during big events like Diwali, Christmas and New Year. Besides noise pollution, firecrackers also cause extensive air pollution within a short span of time, leaving metal particles, dangerous toxins, harmful chemicals, and smoke in the air even for days. Some of the toxins include copper, zinc, sodium, lead, magnesium, cadmium and pollutants like oxides of sulphur and nitrogen.